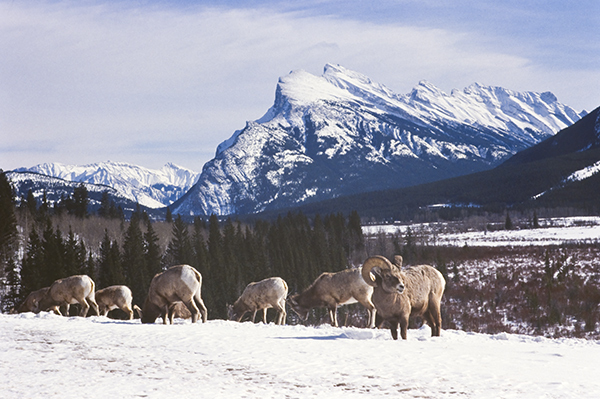 I took this photograph nearly thirty years ago in the Canadian Rockies. This ram with his harem of ewes seemed to epitomise survival in this unforgiving environment. When the winter makes grazing impossible these sheep resort to pawing away the snow to access mosses and lichens.